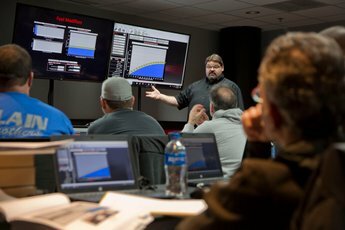 Holley's EFI courses provide three levels of EFI training. The first is tier one. At the end of this class, participants will have the tools they need to successfully complete a conventional "canned" Holley EFI installation. Class space is currently limited to 15-20 people per session. The goal of the limited space is to allow the instructor the ability to work with each participant one-on-one as much as possible. This class is ideal for those who are new to EFI in general, as well as those who are new to Holley's EFI systems. This is a one-day class with a cost of $199.00 that will run from 8:00 a.m. to 5:00 p.m. A Holley Plant tour will be offered by Invitation and Required RSVP to class participants starting at 12:00 Noon CST the day prior to the Tier One class.